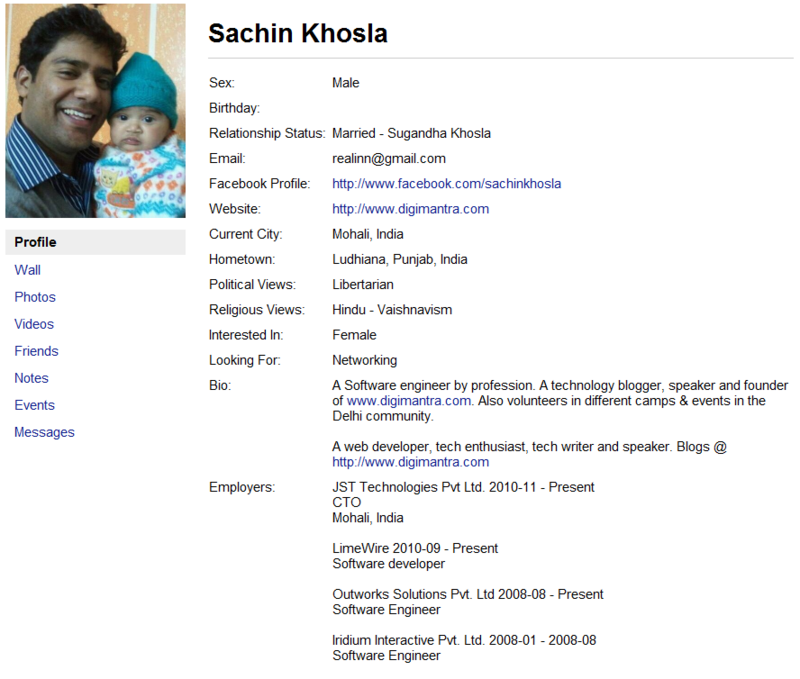 Facebook contains your complete identity, since it has your pictures, friends, contact numbers etc. Have you ever thought what if your account gets hacked one day, or you just do not have access to it ? What if facebook is paid or getting facebook data becomes paid ? 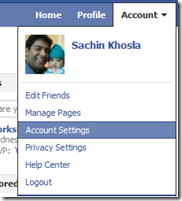 You can now, store all your facebook information locally into your hardisk. Yes, Facebook allows your to store the data in the form of HTML and it contains all the information related to your friends, contact numbers, photographs, videos, links, notes and even your wall posts along with the comments. Sounds Cool ? Recently, I downloaded this complete information and it was a zipped file of around 25MB. I know that is not that huge file, but fair enough for a guy like me with ~400 friends and limited photographs uploaded. Now let us see how this can be done. 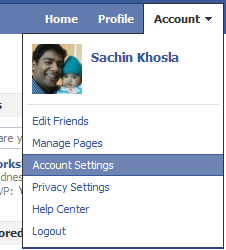 1) Login to your facebook account and goto Account settings from the top right corner, as show below. 2) Click on the link saying “learn more” next to “Download Your Information” at the bottom of account settings page. 3) You will be taken to another page, to verify your password. 4) After this a confirmation page is shown, which tells you the size of the archive file which is sent to you on your email address. Open the Index.html and you will see complete Facebook data like the one shown below. Pretty neat – ? Go ahead and download your information. It may be a good idea to backup all your data once, even if you are planning to delete your account forever.